The M53A1 was developed to counter multiple threats encountered on the modern battlefield. 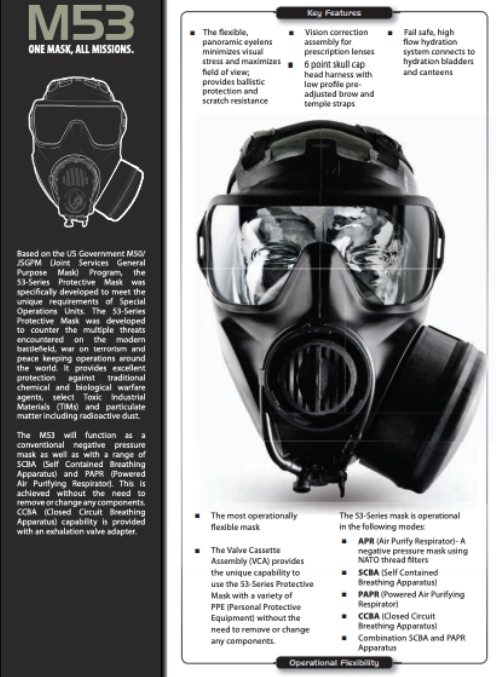 “It provides excellent protection against traditional chemical and biological warfare agents, select Toxic Industrial Materials (TIMs) and particulate matter including radioactive dust,” read the M53 brochure. 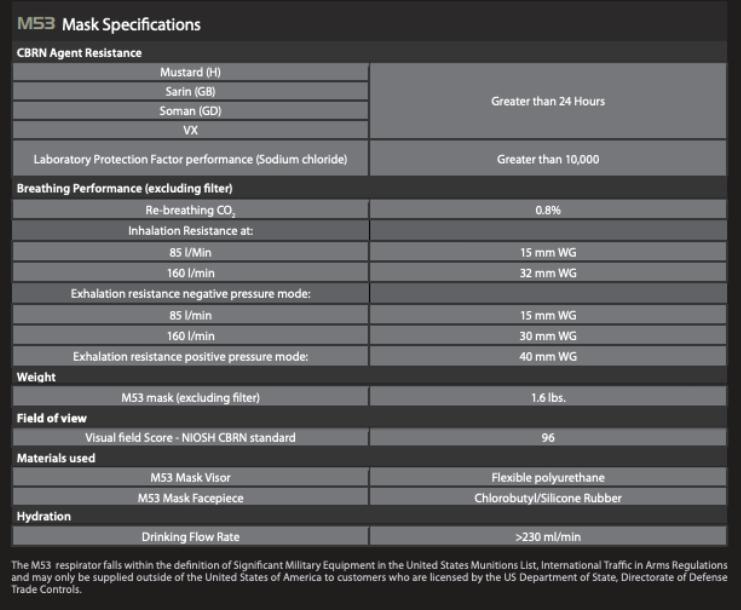 According to the company, the M53A1 protects soldiers from chemical, biological, radiological and nuclear attacks. 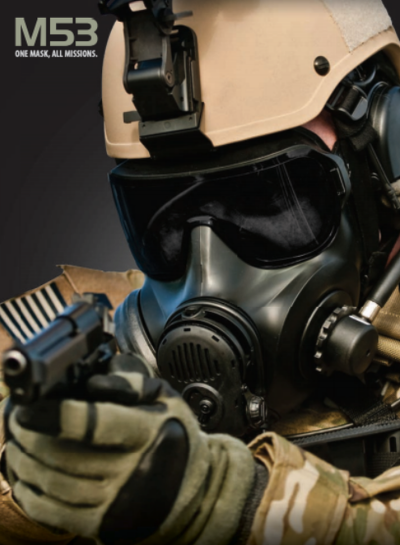 Specifically, the mask protects against mustard, sarin, soman, and VX nerve agents. The order comes one month after the U.S. government introduced science-based guidelines for how first responders decontaminate large numbers of Americans after a chemical-weapons attack. The guidelines, published last month, are the first in the U.S. to be based on extensive research and testing. “Terrorist threats and the use of chemical weapons in Syria have heightened awareness of the need for improved preparedness against chemical attacks,” said Gary Disbrow, deputy director of the US Biomedical Advanced Research and Development Authority, which prepared the guidelines. “First responders are supportive of the fact that it is evidence-based guidance, and not just, ‘We used this last time, and it seemed to work,’” he added.